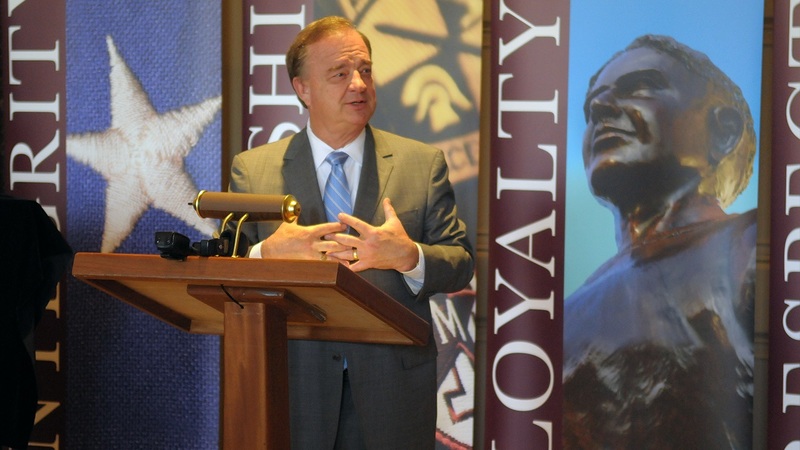 A combination of strong proposals, rampant growth and, perhaps, Aggies in important positions resulted in Texas A&M reaping tremendous benefits from the 84th State Legislative Session, which concluded June 1. The Texas A&M University System, which includes about one-fifth of the state’s college students, was allocated about one-third of the funding appropriated to higher education through two generous House Bills. Billy Hamilton, the CFO of the Texas A&M system, said the A&M system was appropriated $2.3 billion with the main campus receiving $650 million, which is roughly $100 million more than was allotted in the previous session two years ago. Texas A&M agencies were appropriated $913.9 million. Also, a research fund in excess of $140 million was created to benefit Texas A&M and the University of Texas. The Texas Tribune Rep. | Trent Ashby, a former Texas A&M Yell Leader, served as chair of the subcommittee that handled the appropriations. Sharp, who served as Texas Comptroller of Public Accounts from 1991 to 1999 and in the State Senate and House of Representatives from 1979 to 1987, said A&M benefited more from this legislative session than any other he could remember. 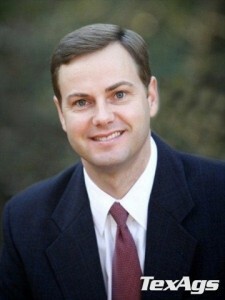 Rep. Trent Ashby (R-Lufkin), who served as the Article III subcommittee chair on appropriations, agreed. “I do think it was a very positive session for the A&M system and all related agencies — ‘The Aggie Agencies’ as everybody calls them at the Capitol,” said Ashby, a former A&M Yell Leader. “No question, this was a tremendous session for the A&M System, but this was really a superb session for all institutions of higher education. 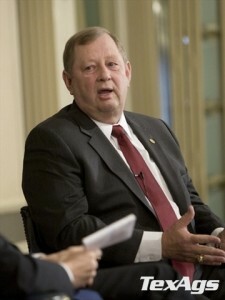 Sharp believed the Legislature responded to impressive proposals from A&M administrators, A&M’s conservative fiscal philosophy, and previous cost-cutting actions. One of the ways A&M benefited most was House Bill 1000, which established the $147,075,793 Texas Research University Fund. That fund is only available to Texas A&M and the University of Texas. The state will contribute $1 million into the fund for every $10 million that Texas A&M and Texas gets in Federal and private grants. Previously, 10 state universities drew from one fund. Rep. John Otto (R-Dayton), the Chair of the House Appropriations Committee, campaigned to create two separate funds. The other eight institutions — Texas-Arlington, Texas-Dallas, Texas-El Paso, Texas-San Antonio, Houston, Texas Tech, University of North Texas and Texas State — will draw from the Texas Emerging University Fund. Marjorie Kamys Cotera/The Texas Tribune | Rep. John Otto, also an Aggie, played a major role in the creation of the separate fund for A&M and Texas, further setting the state’s two flagships apart. Otto, an A&M graduate and former drum major in the Aggie Band, also fought to have more funding for Texas A&M agencies such as Engineering Experimentation, Agriculture and Forest Services. Texas A&M seeks to roughly double its engineering enrollment to 25,000 by 2025. “Our two primary purposes of higher education are to train our work force and also do research that benefits the entire state,” Otto said. “Look at the demand we’re going to have in this state over the next 20 years. We’re nowhere near producing the number of engineers we’ll need right now. As Otto campaigned to increase funding to Texas A&M, he had a strong supporter in Ashby and Rep. John Raney (R-College Station), who was also on the House Appropriations Committee as well as the Higher Education Committee. Raney supported HB 100, which provided $75 million to A&M’s main campus for the construction of a Large Animal Biocontainment Safety Lab that will be connected to the Veterinary Diagnostic Lab. Also, it provided $72 million to the A&M Health Science Center for an on-campus facility and $72 million to A&M’s Baylor College of Dentistry in Dallas. Furthermore, $5 million was allotted to help fund a $65 million Center for Infrastructure Renewal. Senator Charles Schwertner echoed that it was a tremendous session for Texas A&M and for the state. He felt that victory was a necessity for the state’s future. Having Aggies like Otto and Ashby in important positions on the House Appropriations Committee obviously behooved A&M, but Ashby believes the A&M System would have received the funding regardless. “In my humble opinion the nation sees and the world sees the cutting-edge research and innovation coming out of A&M,” Ashby said. “I think by and large people understand Texas A&M is committed to providing the best education possible and has a mission of advancing the needs of Texas and providing cutting-edge research to be competitive in an increasingly global climate. Of course, some opposed the additional funding for A&M. Multiple sources (several legislators and A&M officials) confirmed that Senator Lois Kolkhorst (R-Brenham) argued to cut funding for A&M and the A&M agencies’ budgets in committee. Sharp said Kolkhorst was the only member of the Legislature that opposed the extra funding for A&M. However, Kolkhorst pointed out that she voted for all the bills that benefited A&M, while pointing out four senators and 15 representatives did not. Kolkhorst acknowledged there was considerable discussion and haggling between the Senate and House, which proposed a richer budget for A&M. Sharp said that the onus is now on him and the A&M System to use those funds wisely.